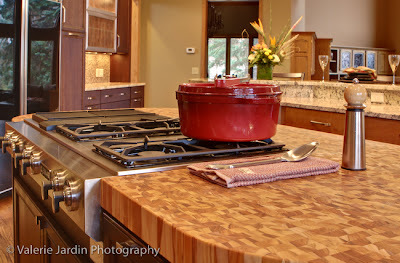 Kitchen & Bath Design – Work with a Designer! Chantal Devane is the owner and principle designer of Devane Design, an interior design firm specializing in kitchen, bath, and basement design. She shares with us her knowledge and expertise in the kitchen and bath process. How do you optimize the outcome of the design process? It is my job to be intuitive about the client’s style and I can usually pinpoint this once I meet with them in their home. The home itself is also going to help dictate what the design will support as well. For kitchen and bath remodels, I have my clients create a wish list. What have they been dreaming about? Also, I like to have a discussion about what is not working in their current design and I learn about their lifestyle… how they live in their home. 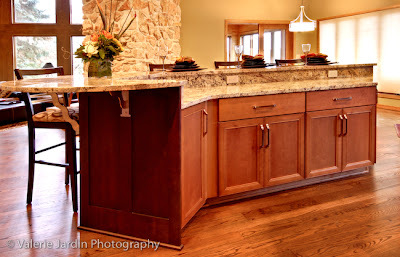 There are also sites like Houzz.com that are very helpful in putting together a “vision board” of their dream kitchen. They can go to the site and point out what appeals to them and save pictures in their idea book to share with me. It’s a very helpful tool in communicating when clients sometimes aren’t able to verbalize what they do and don’t like. Can you share tips on working with a designer? Trust and love your designer! Remember that your hired a designer for a reason. Choose someone you feel that you connect well with and that you are completely comfortable having a candid conversation with. Also remember that you hired them because they are the expert. Always speak your mind, but let them do their job. Would you be willing to share product recommendations with us? There are some tried and true products out there that become favorites just because they always hold their value, but I customize my recommendations based on the needs of the design and my clients. For example, I am currently working with clients who have chemical sensitivities. My recommendations for them have been low VOC, natural and eco-friendly products that limit the amount of toxin exposure in the remodeling process. We are even using a special encapsulating process while constructing their cabinetry to reduce the amount of off gassing into their home. Share with us one of your favorite design projects. 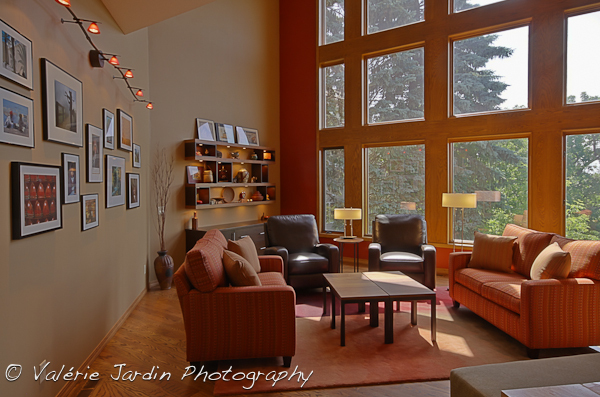 About two years ago I was fortunate enough to have “the perfect client.” As designers, we all have our criteria about who that client is, but for me it was being able to complete the whole space in its entirety, have a realistic budget to work with, work close to my office and take on the home’s unique challenges. For this home, believe it or not, my challenge was working with an enormous space! 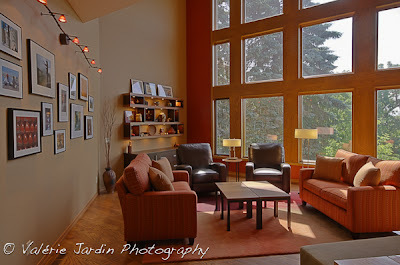 The great room area was rather vast with beautiful views of the bluff and I wanted everything to feel connected and comfortable. Right in the middle of the room, we had a gigantic two story fireplace that was not going to be included in the project scope. It was an obstacle, but one that I embraced. 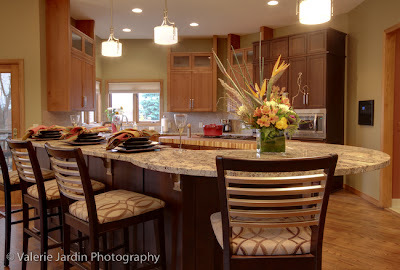 The homeowner’s love of cooking and entertaining, extensive overseas travel and photography hobby were all great inspirations in making my design work. I tend to take these projects on like they are my own and in the end, I wanted to cook in their kitchen and read my book in the family room. It was just that inviting. Since then I have received wonderful feedback on that project and I am now moving on to work on their second level. The problem with working in this industry is that we have constant exposure to the next best thing. It is very difficult to to settle on a design concept for my own home because I am always seeing something new being introduced that trumps my last great idea. Sadly, I usually mull over my dream space for many years and then end up pulling the trigger on the project only when it becomes necessary. After twelve years of thinking I should remodel my master bath, I finally moved froward with it this fall, only after identifying a water leak that needed to be addressed. I am pretty sure I was the worst client ever! Even though I prepare my clients everyday for this process, I was anxious to make compromises to complete my job quicker and get back to having a functional bathroom again. It is a great reminder of how difficult the process can be and you know the old saying about the cobbler’s kids having no shoes… the designer’s bathroom is always the last one to be remodeled! After living in a space for a while, we tend to adapt to its idiosyncrasies. One of the greatest values of a designer is we not only have the education and experience to create your dream project, but we also can look at the space with an objective eye and make recommendations that may often be over looked by the homeowner. When you have a wonderful functioning kitchen or bath, and it looks fabulous as well, you are going to feel good about living in that space and you will want to be in it more. When it comes to resale, a updated kitchen/ bath will be noticed by the new potential homeowner and it is typically equates to a monetary value. 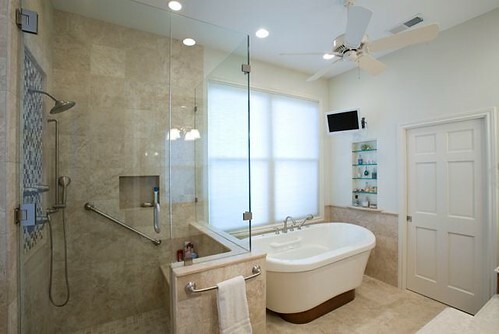 With that that being said, one huge mistake that a homeowner can make is waiting only until they are ready to sell to complete a remodeling project. I cannot tell you how many times I have been called into do a kitchen or bath project because the Realtor wants to make the home more saleable and the homeowner is saddened after they see the end result and they wish they would have done it for themselves years ago. I have had several clients actually change their minds about moving after their remodel was complete because they loved the outcome so much. Needless to say, their Realtor, who happened to be my mom on more than one occasion, was not happy about losing their client and a potential sale. Thanks Chantal for the great advice! /wp-content/uploads/2018/01/Purcell-Final-Logo-300x86-3-300x86.png 0 0 Purcell Quality /wp-content/uploads/2018/01/Purcell-Final-Logo-300x86-3-300x86.png Purcell Quality2013-01-14 14:37:002013-01-14 14:37:00Kitchen & Bath Design - Work with a Designer!